Whether you can’t wait to exercise your brain power at work after you’ve enjoyed a few weeks off for maternity leave or you’re going back to your job kicking and screaming because your family needs the income, you may feel like you’re fighting a losing battle if you want to work and breastfeed. It can be done, certainly, but it is likely going to be a challenge. One big reason why many women don’t breastfeed as long as they planned to is that it’s not as easy as they think it will be, particularly when they factor in their job. But one tool that could boost your chances for breastfeeding success as a working mom is workplace flexibility. 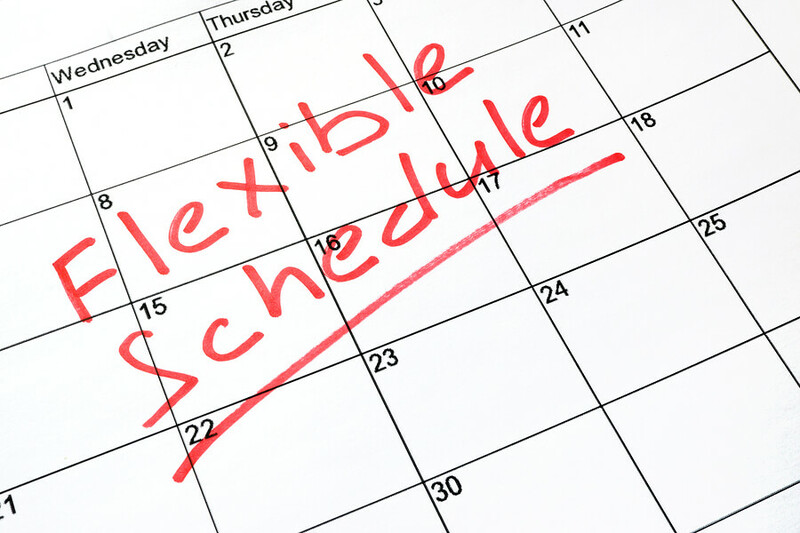 Let’s look at why and how flexibility, which often entails allowing employees to set their own hours or work remotely, will help you overcome the obstacles to breastfeeding. Perhaps one of the biggest strains on new breastfeeding moms is all the late-night feedings they have to do. Since they’re the ones with all the equipment necessary for breastfeeding, they have to do the feedings unless they begin pumping milk so they get the “luxury” of sleeping a full night once in a while when their partner or someone else gets up and feeds the baby with a bottle. Once a mom goes back to work (to a traditional, on-site job) and misses the baby’s feedings each workday, she may feel the need to be the one feeding her baby at night to ensure she and her child still have that important bonding time. The end result of all those night feedings is that moms are often sleep deprived. That can impact their health as well as their mood, so companies would be wise to find ways to work with moms to help them get more sleep while they are breastfeeding. A flexible schedule or working remotely may allow moms in this boat to take a lunchtime or mid-morning power nap of 20 to 30 minutes, which is just enough to recharge their batteries without making them feel completely out of it. A refreshed mom means greater productivity for her company. It can be quite nerve-racking for a new mom to drop their baby off at daycare and leave them with a caregiver—especially one they don’t know very well—while they head off to work. The occasional day of working remotely, where a caregiver (babysitter, grandparent, etc.) comes and watches the baby in the home, might be just enough to cut back on some of that anxiety and/or guilt many moms feel. This way, mom can spend some more time with her baby during breaks. Companies needn’t worry that moms will take advantage of the time at home by being less productive. Moms feel grateful for the chance to work remotely and see it as a privilege, so they’ll work extra hard to ensure their work performance doesn’t suffer. Plus, they’ll save a bunch of time by not having to commute or being around coworkers who like to chat. While many workplaces try to cooperate with moms who need to pump their breast milk while at work, the overall experience typically leaves a lot to be desired. Moms are often stuck in an uncomfortable, tiny room the company can spare as a makeshift pumping room. There are even horror stories about women being told they could simply pump in the women’s bathroom at their workplace. It’s hard to stimulate that let-down reflex when you’re sitting on a toilet trying to relax enough to pump. By having a flexible schedule or by working remotely, women have a better, more comfortable pumping environment. If they are doing it at their own home, they know it will be sanitary. And they’ll have all the privacy they need. In addition, they can pump according to the scheduled times they’ve come up with and in a relaxing setting. They can even pump while they sit at their desk in their home office and work! Workplace flexibility and working remotely are two great solutions for two common problems for breastfeeding women: engorgement and clogged milk ducts. Both issues are caused by not pumping as frequently as is recommended. It’s easier for women to stick to a pumping schedule at home. With a good hands-free pump, a woman can keep working while pumping when she has enough privacy. That wouldn’t be possible in a workplace setting. By pumping frequently, women can avoid the pain of engorgement and possibly dodge clogged milk ducts too. Let’s face it: moms and their employers both have a vested interested in finding creative ways to offer enough workplace flexibility so that moms who choose to breastfeed can continue to do so. Moms need to find jobs that fit into the plans they have for their families. While that won’t always be a dealbreaker, they may be tempted to leave their jobs if they find one that offers more flexibility. But switching jobs can be another source of stress for moms, too. They’d often rather stay at a job they are comfortable with if they are given concessions, such as flexibility. And worker turnover is bad news for businesses. Not only do they run the risk of losing talented workers, but it also costs them more money. Offering workplace flexibility is a viable solution to avoiding employing turnover and retaining great working mom employees. Jenny Silverstone is a work-at-home mom, writer, and editor for the popular parenting blog Mom Loves Best. Jenny is a breastfeeding advocate and is passionate about helping to prepare and educate new mothers for their transition back to the workplace while pumping breast milk.